I read the following article Jeff Bullas: 6 emotions you need to create to go viral on social media and it occurred to me: "I will never go viral." You see, according to the article, blogs and posts that do viralize tend to inspire awe. Or they elicit the following five emotions: Anxiety, Anger, Disgust, Sadness and Surprise. One thing they're not? Funny. Alright, I know what you're thinking. You're thinking, Strickland, you're just not that funny either. But be that as it may, I doubt I've ever inspired awe. And I can with honesty say that at times I'm certain I've provoked Anger or Disgust, like, What idiot let this woman blog at ChicagoNow? And hopefully I haven't created too much Sadness at the state of grammar education in the public school system from which I graduated. As for Anxiety and Surprise, I wouldn't be surprised if I caused anxiety, at least for the husband, who's been known to worry that I sometimes portray him as being even more marvelous than his magnificent self, therefore making all other men feel inferior. Really. It keeps him up at night. So you can see why reading the Jeff Bullas story made me realize I will probably never go viral but will, for the remainder of my days, have to sit here contentedly amusing myself and perhaps a few others in my quiet little corner of the internet. Then again, you know what they say. Never say never. Thank you for reading A City Mom! 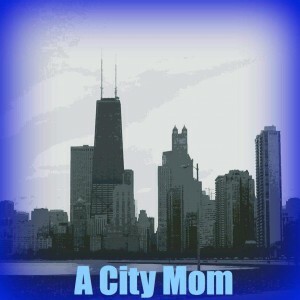 Follow me on Twitter @acitymom or Like me on Facebook here. Were those the words that would "invoke" emotion? I have a hard time taking any article seriously when it appears that the writer didn't bother to proofread it! lol. Unfortunately due to my aforementioned poor grammar education, I didn't catch that.Thanks for the smile, Brent!